Eleanor Scarlett is a Lecturer in Clinical Legal Education and Evidence. She is also a qualified solicitor and supervises students delivering legal advice at the University of East London’s Law Clinic. 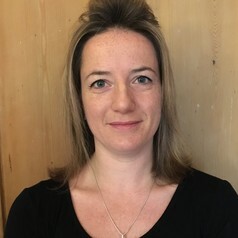 For the last two years she has also supervised students in their second Law Clinic based at the Romford Autism Hub, in partnership with the Sycamore Trust, where students provide free legal advice to those affected by autism. Prior to her time at the University of East London, Eleanor was a defence criminal lawyer representing those suspected or charged with a wide range of criminal offences, including murder, robbery and conspiracy to supply drugs. Eleanor acted for her clients right through the criminal justice process from the investigation stage through to trial and has represented a number of high profile clients including musicians, sportspersons and professionals. Eleanor's extensive experience in the criminal justice system has led to her interest and focus in Evidence.